Happy Banned Books Week! Yesterday was the kickoff to the week long celebration of the freedom to read. 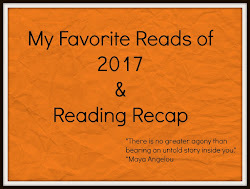 If you would like to see the most frequently banned books of 2015 and their reasons for being challenged compiled by the ALA you can click here. One of the most interesting list of banned/challenged books that I found was the from the Illinois Library Association and you can view that one here. There is also an interesting list of what's been most banned/challenged by decade that can be found here. While reading through some of the reasons, I saw some that were, to my mind legitimate concerns, and some that were so out there that it was comical. As a mother, I believe that books should be age appropriate for children and that's where it gets tricky! Everyone has their own ideas of what is appropriate and what isn't. What and at what time they want their children to be exposed to certain themes, situations, and realities. For example, where I had no issue with my children reading Harry Potter when they were old enough to read and comprehend the story on their own, I knew parents who had issues with the idea of witchcraft and wouldn't allow their children to read the books or watch the movies. On the other hand, I had a friend who gifted my daughter with all of the Little House on The Prairie books, and as she read through them we had to have conversations about racism, the systematic and cruel treatment and removal of Native Americans from their own land, and the inequality of women during that time period. Which in my opinion, made my daughters experience of those books better. She had to think about the actions and attitudes of the characters more deeply than I initially expected her to at eight or nine years old. It ended up being an unexpected learning experience from a beloved series that was supposed to be a simple and enjoyable series to read. I asked her how she remembers the series and she says that she remembers enjoying them, but being sad that people could be so cruel. Instead of flipping out that my child would experience those issues in a book, I actually had those conversations with her as she encountered them in the book. I didn't leave her to work through those ideas on her own. I buddy read books with my girls, which I admit was a chore at times. I mostly skimmed through them first and then read them as they were reading. It did cost more when I had to buy two copies, but it also built memories that I wouldn't trade for anything in the world. 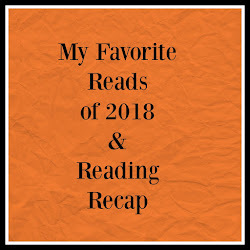 I didn't do this for every single read, but enough that I always had an idea of what they were interested in and what books were in their hands. Thus the power of active parenting combined with growing a reader! 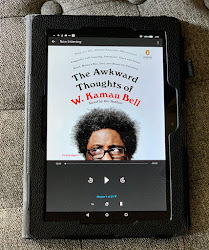 I saw that a book that I recently bought for myself, The Absolutely True Diary of a Part-Time Indian by Sherman Alexie, has been challenged as well. The reason for the challenge being that "the book contains numerous depictions of sexual behavior, as well as instances of racism, vulgar language, bullying, and violence." This book was assigned to high school students. Anyone know any teenagers attending high school? This is their daily reality and if parents think that these young people aren't ready to read and discuss these issues in a controlled environment supervised by a teacher is living in la la land. Perhaps if parents would take the time to read and discuss the books in a way that their values and standards are clear to their children, these books wouldn't be so scary to them. BUT, every parent parents differently and I suppose we have to respect those differences. 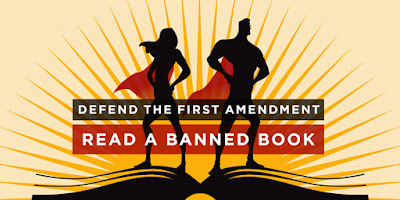 So, what do you think of banning books? 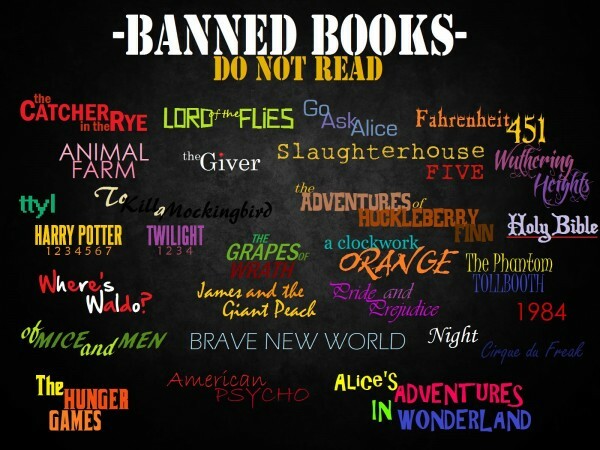 Have you read and enjoyed books that have been forbidden to some readers? Show off your rebellious reads!